A Dionysus Costume including a Robe with attached Drape, and Headpiece – Ideal for a Greek theme, an Ancient World theme, or any fancy dress occasion! Transform yourself with this amazing Dionysus Costume and enjoy being the God of the grape harvest. This simple Dionysus Costume includes a Robe with attached Drape, and a Headpiece. This long black Robe features a decorative gold leaf trim around the neckline, and a purple drape attached over the shoulder that will be sure to make you stand out amongst the mortals. This impressive Dionysus Costume also includes a luxurious Wreath style Headpiece, to make this fantastic look suitable for only a God! Perfect for a Toga party, an Ancient World theme, a Greek theme, a Mythological theme, or any fancy dress occasion, the Dionysus Costume will be sure to make you stand out from the crowds! Bring the cheer to any fancy dress occasion with the Dionysus Costume! 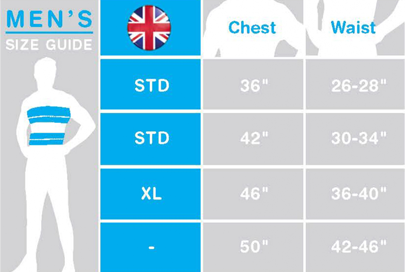 Size guidelines: to fit up to approximately a 44” Chest.